Having people over at the last minute to take in some holiday cheer? Last minute desserts are an absolute treat for unexpected guests and a delight to make even with limited time. Here are some fantastic and simple holiday desserts that all will love! Warm up with delicious sticky buns or cool off with rich cream puffs. Either way, your holidays will be super sweet. Bon Appetit! 1. Preheat oven to 400 degree F. Place a 12-cup muffin tin on a baking sheet lined with parchment paper. 2. With an electric mixer, combine 12 tablespoons of butter and 1/3 cup of brown sugar. Place 1 rounded tablespoon of the mix in each of the 12 muffin cups. Sprinkle the pecans evenly among the 12 muffin cups on top of the butter/sugar mixture. 3. Lightly flour a wooden or stone surface. Unfold one sheet of the puff pastry with the folds running left to right. Brush the whole sheet with 1 tablespoon of the melted butter. Leaving a 1-inch border on the puff pastry, sprinkle each puff pastry sheer with 1/3 cup of brown sugar, 1 Â½ teaspoons of the cinnamon, Â¼ cup of the cranberries, and Â¼ cup of the raisins. 4. Starting with the end nearest you, roll the pastry up snugly like a jelly roll, finishing with the roll seam-side down. Trim the ends of the roll about Â½ inch and discard. Slice the roll in 6 equally sized pieces, about 1 Â½ inches each. Place each piece, spiral side up, in 6 of the muffin cups. Repeat with the second sheet of puff pastry to make the total 12 muffin cups. 5. Bake for 30 minutes or until the sticky buns are golden to dark brown on top and firm to touch. Allow to cool for five minutes only. 6. Invert the buns onto parchment paper, easing the filling and pecans out onto the buns with a spoon, to let cool completely. 1. Preheat the oven to 400 degrees F. Line 2 large baking sheets with parchment paper. 2. In a large saucepan, over high heat, bring the milk, water, 1 stick of butter, and salt to a boil. Add the flour and remove from the heat. Stir until the dough forms a shiny mass. Using an electric mixer, beat the dough on low speed for 2 to 3 minutes, just until slightly cooled. Increase the speed to medium and beat in the eggs, one at a time, beating well in between each egg. Be sure to scrape the sides of the saucepan as well. 3. 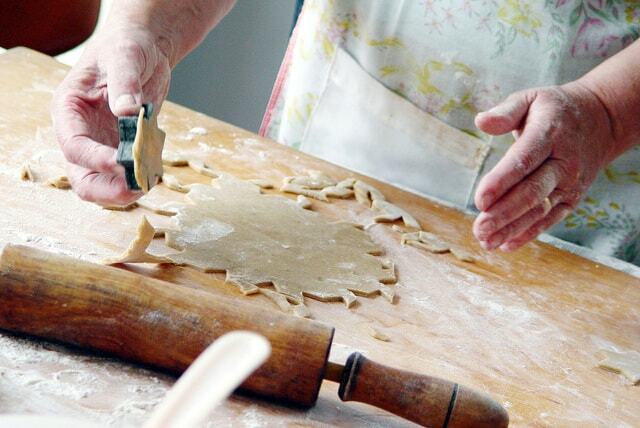 Transfer the dough into a pastry bag fitted with a Â¾-inch plain tip. Pipe 12 1Â½-inch mounds onto one baking sheet. Using a moistened finger, round the tops of the dough. Bake for about 25 minutes or until the puffs are golden, shifting the sheets halfway through. 4. Poke a Â¼-inch-deep hole into the side of each puff and return them to the oven. Turn off the oven and leave the door ajar. Allow 2 hours for the puffs to cool and dry out. 5. Meanwhile, in a medium-size bowl, beat 1Â½ cups of the cream with the confectioners’ sugar using an electric mixer. Beat until firm, then beat in the vanilla extract. 6. Cut off the top 1/3 of each puff and scoop out the soft dough in the center. Spoon the cream into the puffs and replace the tops and stack on a plate. Chill for 10 minutes. 7. In a small saucepan, bring the rest of the heavy cream to a boil, then remove from heat. Add the chocolate and 1 tablespoon of butter and let stand until the chocolate is melted. Whisk until smooth. Drizzle some of the chocolate sauce over the puffs and serve, passing the remaining sauce around as a dip. These delicious cream puffs are courtesy of Food and Wine Magazine. For an easy weekend getaway, it’s hard to resist the great outdoors of Palomar Mountain. 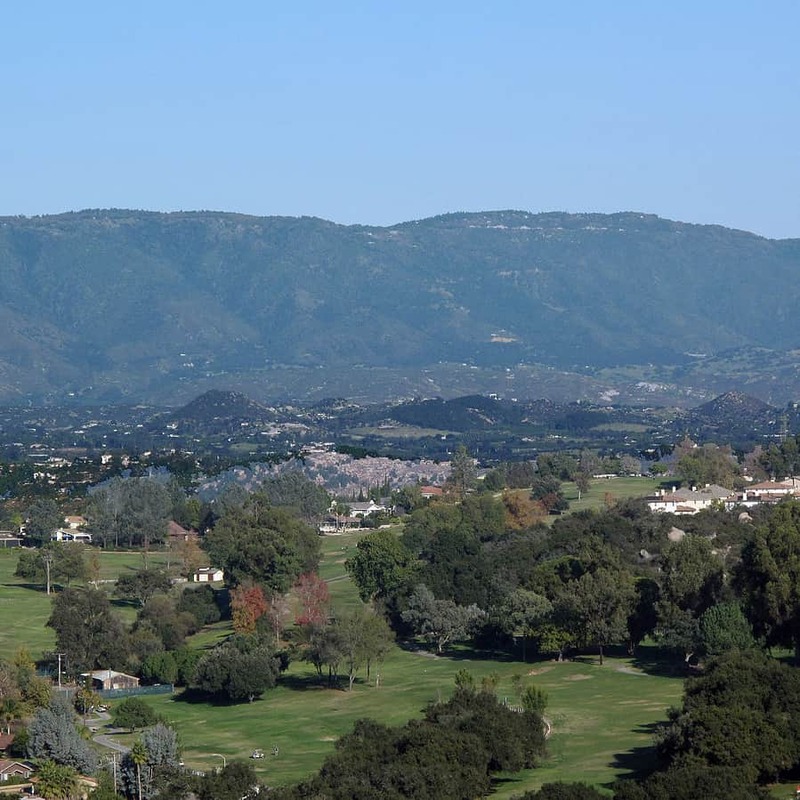 At Palomar Mountain, you’ll enjoy camping under the stars, hiking, biking, fishing, and horseback riding, or you can simply relax and take in the beautiful panoramic views of vistas, valleys, and forests. Located just outside of San Diego city limits, Palomar Mountain State Park is one of San Diego’s most beautiful natural attractions. As the third-highest peak in San Diego, High Point at Palomar Mountain has incredible views. This view alone is a good reason many San Diegans flock to Palomar Mountain. If you love hiking through forests, Palomar Mountain’s coniferous forests spread across 1,862 acres with a Sierra Nevada-type atmosphere. You’ll see many large pines, fir, and cedar trees along the way to mountain peaks, Doane Park for fishing, and nice picnicking areas. If hiking isn’t an interest of yours, Palomar Mountain still has fun activities like small trails to historical sites, nice rest areas, and the Palomar Observatory. At Palomar Observatory, you’ll see the Hale Telescope, known as the largest telescope from 1949 to 1992! Along with loads of information and interesting facts, Palomar Observatory’s gift shop has wonderful souvenirs and books about astronomy. In Palomar Mountain’s Doane Valley, there’s a great campground equipped with a fully loaded convenience store, post office, Mother’s Kitchen restaurant, and lots of excellent hospitality. If you plan on camping at Palomar Mountain, Doane Valley is your best bet for comfort and convenience. There is no time like Christmas time to see Palomar Mountain. Take the family and explore nature together, from fishing to horseback riding, trails to biking, there is more than enough to see and do at Palomar Mountain State Park!